Abu Dhabi: Two designers — an Emirati and an Indian — have joined hands to promote Khadi, India’s handwoven natural fabric, in the UAE. She said Khadi is a perfect fabric for UAE weather. “Khadi is natural and it keeps you cool in summer and warm in winter. “Emiratis have been wearing Indian fabrics for a very long time and we have been using them in our fashion industry. This [khadi promotion] will make a huge difference. I am happy to be the first Emirati fashion designer to promote Khadi. I am sure people in the UAE will love it,” Al Bastaki said at the event, jointly organised by the Indian Embassy, GWU and the Indian Business Professional Group (IBPG) on Sunday evening. The Indian designer said her 30-year-old journey with Khadi started with reading the autobiography of Mahatma Gandhi who promoted it as part of the Indian freedom struggle. She said Mahatma Gandhi has given many different messages through Khadi — Ahimsa (non-violence), Sarvodaya (good for all), Satyagraha (existence on a senior Indian diplomat said Khadi promotion would support rural employment and women’s empowerment in India. Smita Pant, deputy chief of the mission at the Indian Embassy in Abu Dhabi, said most Khadi artisans have traditionally been rural women who get 40 per cent of the market price, enabling their empowerment. 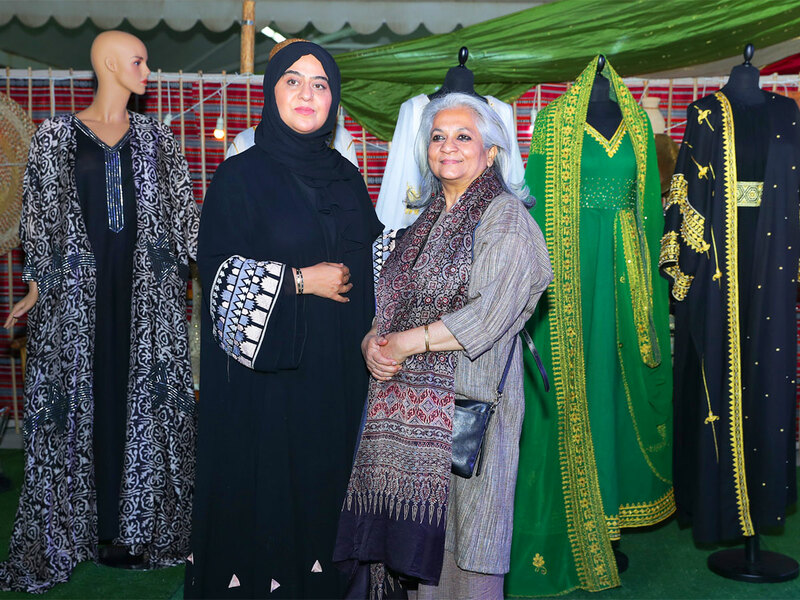 She said the embassy was honoured to organise the event with GWU, which is committed to women empowerment and promoting traditional handicrafts. Artists from the Indian Ladies Association (ILA) presented a dance at the event.